Don Nava is a Kingdom Coach. In January 2018, the Holy Spirit prompted Don to start the School of Kingdom Coaching, with the purpose of training men and women to be used by the Holy Spirit as powerful catalysts for bringing freedom and transformation to the lives of people. Don started his coaching career 35 years ago in Silicon Valley, as the fitness coach to ventures capitalists as well as executives at Cisco Systems, Silicon Graphics, ATT and NIKE. After years of research, study and observation, Coach Nava determined that there are underlying mental, emotional, directional and spiritual issues that are keeping people from being physically fit. As a result, he designed and developed the Totally Fit Life System which has been a channel of transformation for thousands of men, women and children. In addition, Coach Nava trained NFL football players for 15 years and taught high performance team-building to corporate executives throughout the United States, Australia and Europe. Don also coaches executives on how to be highly effective leaders by modeling and tapping into the power of Servant Leadership. He works with companies that are headed by Christian leaders that want to establish their organizations on a kingdom platform and as a result become Kingdom Capitalists. Don is the author of the book Fit After 40, a literary embodiment of how to live The Totally Fit Life, which was published by Thomas Nelson. Coach Nava currently lives in northern California with his wife Becky. They have been married for 37 years. They have three adult children and two grandchildren. 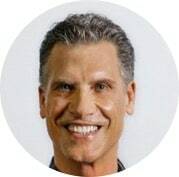 He founded and currently manages Totally Fit Life Ministries and The Totally Fit Life Inc. which designs, develops and delivers systems and solutions for corporations and organizations on how to live a Totally Abundant Life.